Michael Balawejder knows what it takes to make his clients feel comfortable. With his youthful smile and his wide and winning team experience, he gels with all ages for the ultimate dotted line result. Not just a job, real estate is his 24/7 dedication. On paper or in real life, well-laid plans in the form of 6-star service will play out as promised. It starts with communication; Michael’s strongest attribute. Passion for people is another. 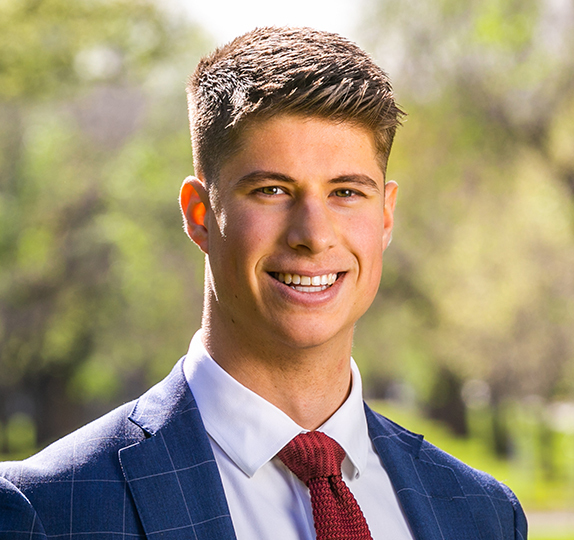 Whether for a buyer on the cusp of signing a contract, or a vendor ticking off their settlement to-do list, Michael is there – in person or with phone in hand – to see a smooth transition through it all. He’s responsive with a sense of urgency, and some may say crazily devoted to his craft, but it derives the best outcome for you as a seller; you’ll know the ins and outs of your open inspections and you’ll learn every buyer’s feedback. And as a buyer with a property wish list in hand, Michael will see that you’re not left dreaming for long. Today, he attributes much of his perspective and client care to his award-winning Noakes Team at Harris Real Estate, but Michael is every bit the successful sales agent and licensed auctioneer in his own right. Discover the Balawejder brand of 6-star service for yourself. Harris staff were a pleasure to deal with – friendly, prompt, efficient – nothing was too much trouble.